1. Click on main Menu. 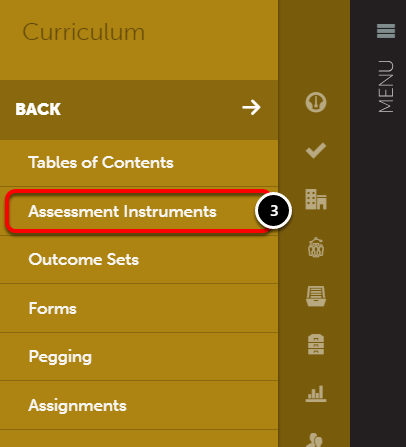 On the Assessment Instrument screen locate the desired instrument and click anywhere in the row for that instrument. 4. Choose Duplicate from the menu. 5. 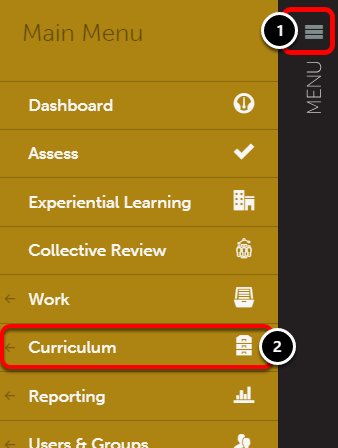 Select the Department/Group for the instrument by clicking Choose Group. 7. Enter a new name for your instrument. 8. 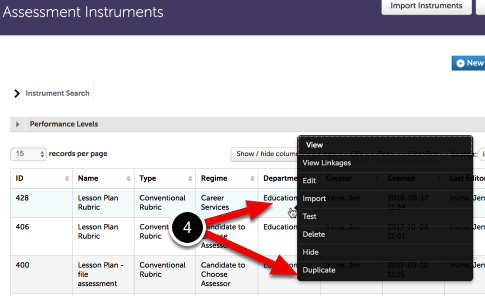 Select the checkbox below Duplicate Standard Links if you wish to retain any standard/outcome links.